As TGP previously reported, former NSA, General Flynn recently invoked the 5th Amendment and was subsequently hit with 2 new subpoenas. AP reported on May 30th that General Flynn will provide some documents under subpoena to Senate intelligence panel. 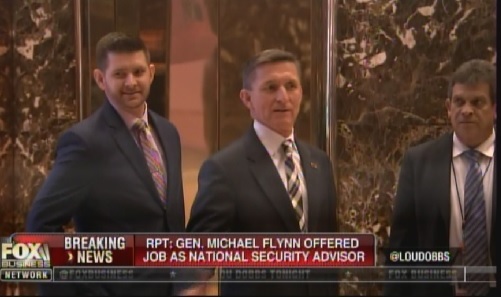 It is now being reported that General Flynn has indeed handed over 600+ documents to the Senate Intelligence Committee. Former national security adviser Michael Flynn handed over more than 600 pages of documents to the Senate Intelligence Committee, adhering to the panel’s subpoena issued in late May, CNN reported. The witch hunt for anyone in the Trump administration continues while Hillary, Obama, Rice et al continue to get away with a multi-year crime spree known as the Obama administration.